4 Bedroom House To Rent in London for £12,133 per Calendar Month (Calculated). 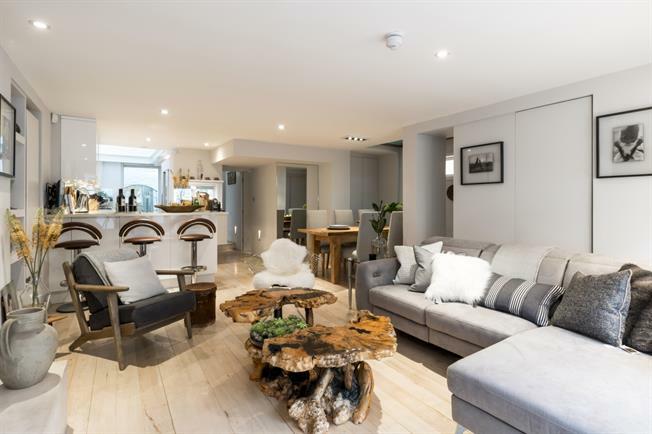 SHORT LET: A much sought after superb Georgian house over five storeys in the heart of Notting Hill having been extensively refurbished throughout to offer an immaculately furnished short term stay in prime central Notting Hill. Well presented and recently redecorated four bedroom and three bathroom bathroom house situated on Artesian Road. Refurbished to an exceptionally high standard the property boasts a wealth of period features coupled with a modern design and layout. The accommodation comprises a wonderful open plan family kitchen and reception over the lower ground floor with patio doors onto a private terrace, formal reception room with separate study area, the accommodation comprises a Master Suite over the first floor of the house and a further four bedrooms and two bathrooms over the second and third floors. The house is fully furnished and available for Short Stays over 2016. Located just moments from the fashionable Westbourne Grove, Artesian Road is a prime residential street and perfectly located for both the open green spaces of Hyde Park and the hustle and bustle of vibrant shops, cafes and restaurants dotted along Westbourne Grove. Notting Hill Gate and Portobello Road with its daily fruit and vegatable market and famous antiques market. Excellent transport links are on the door step with an abundance of bus routes in all directions and with Bayswater (District/Circle lines), Queensway (Central line), Royal Oak (Hammersmith & City/ Circle line - heading towards Paddington (Heathrow Express), King's Cross and Liverpool Street) underground stations all a short walk away.